Tomorrow, June 30, marks the presidential inauguration day of Davao City Mayor Rodrigo Duterte. This will be the last time we'll be addressing him as such, as he is set to become the country's 16th Chief of State. As we usher in this new period of governance, we join all Filipinos in hoping for positive change and national betterment. And by the looks of things, particularly on the quite modest inaugural luncheon, the leader, being true to his promise and sticking to his humble roots, is setting a good example. 1) In 1899, Emilio Aguinaldo took his oath in Spanish, the only one of its kind. 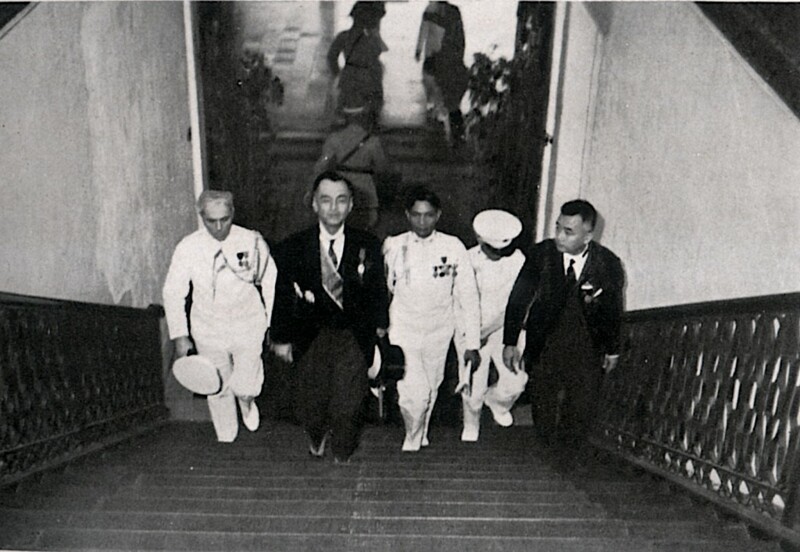 2) Manuel L. Quezon and Sergio Osmeña had inaugurations on foreign soil, the latter in Washington D.C. Osmeña was also the first Vice President to assume the presidency upon the death of his predecessor, Quezon. 3) Ramon Magsaysay delivered the shortest inaugural address in 1953, clocking in at eight minutes. 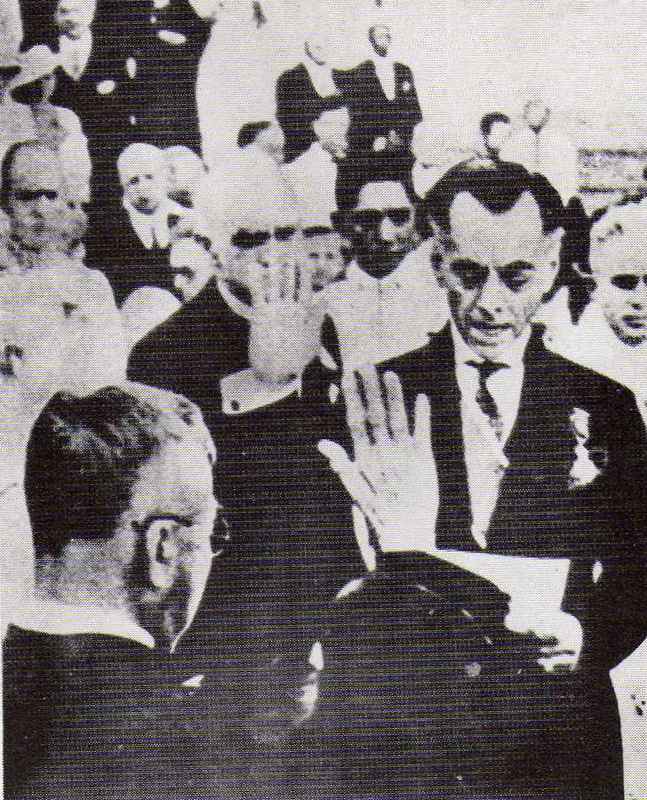 4) Two presidents took their oath thrice. Manuel Roxas (May 28, 1946 and July 4, 1946), Elpidio Quirino (1948, 1949), Carlos Garcia (March 1957 and December 30, 1957), and Gloria Macapagal-Arroyo (2001, 2004) all had two oath-takings. 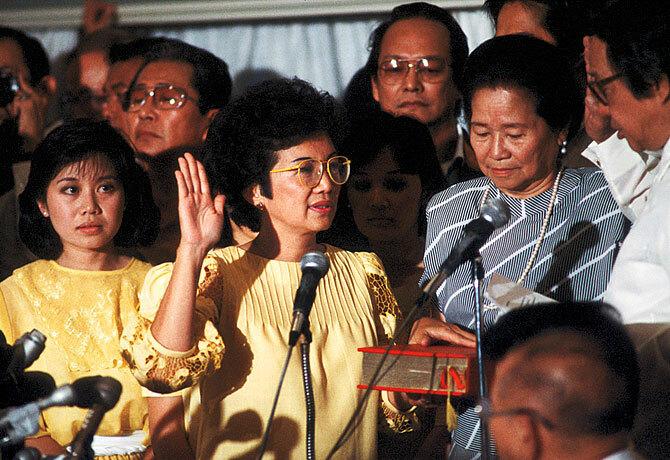 5) Marcos and Corazon Aquino had simultaneous inaugurations. 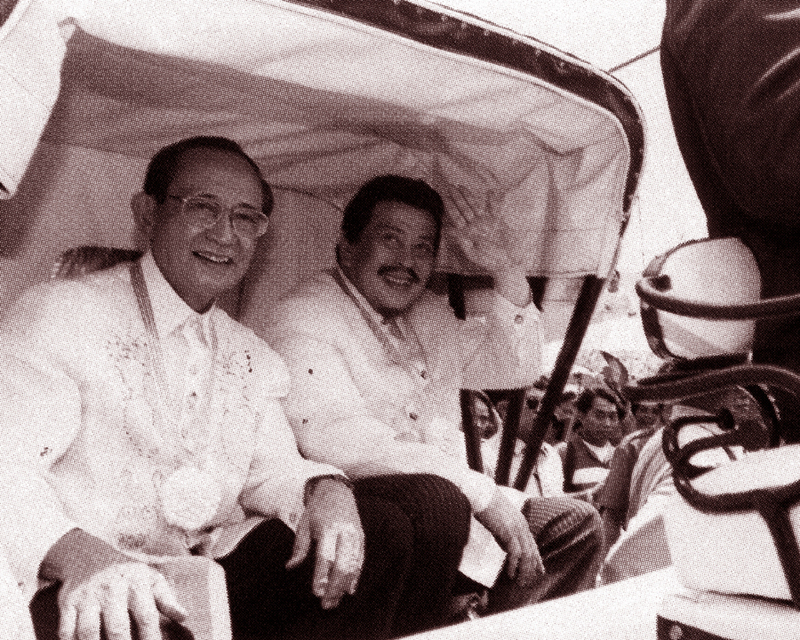 Results of the 1986 snap elections were contrasting: the Marcos-controlled Commission on Elections (Comelec) declared the incumbent president the winner, while election watchdog National Citizens' Movement for Free Elections (NAMFREL) hailed Cory the victor. On February 25, 1986 (the last day of the EDSA People Power revolution) the political rivals, flanked by their supporters, took their respective oaths: Marcos at the Malacañan Palace, and Aquino at Club Filipino in Greenhills. 6) In 2004, Arroyo took oath in Cebu—that city that gave her "biggest vote"—for fear of protests if she does it in Manila. She became the first president to be sworn into office outside the main island of Luzon. 7) The stairs of the Palace bear particular significance to both the outgoing and incoming president. The ritual of ascending and descending it, begun by Quezon, mark the beginning and the end of each person's presidency. 8) Arroyo, who delivered her inaugural speech at the Quirino Grandstand in Manila after taking her oath in Cebu, was said to have intentionally held her first cabinet meeting in Butuan City, Mindanao, meaning she was able to visit the country's three main islands during her inauguration day in 2004. 9) Tradition dictates that the President-elect fetches the incumbent from the Malacañang, which signifies the transfer of power between the two leaders. 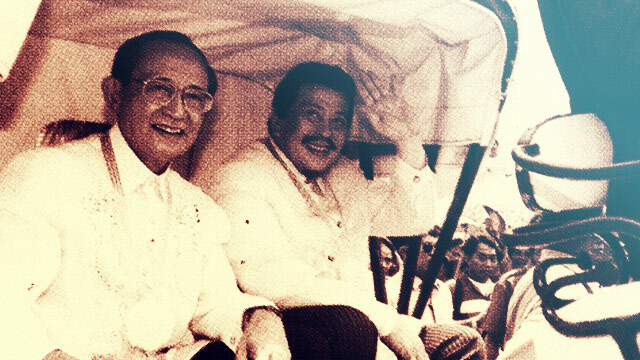 In the early days, the two even share a ride aboard the presidential car to the Quirino Grandstand (then-Independence Grandstand) where they eventually part ways. 10) After three decades, the inaugural will be held again at the Rizal Ceremonial Hall. 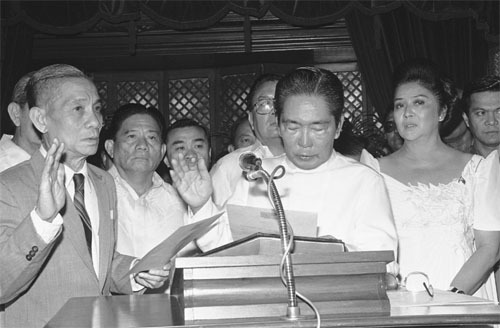 Marcos was the last president sworn in inside the Palace in 1986.